After a run I get pain on the inside of my arch, sort of behind the ball of my foot. It's not there when actually running but gets progressively worse in the couple of days afterwards. It's also painfree most of the time but then, when I weight my foot in a particular way, I get shooting/crippling pains up the inside of the arch. I can make it hurt deliberately (not something I do too often, obviously) by placing my weight on the ball of my foot and then moving my knee in and forwards. Anyone got any idea what it may be? I'm planning to go and see my doc about it but I'm out of town for the next couple of weeks. Maybe tightening in the fascia under your foot. Try rolling a frozen golf ball or similar under the arch, applying gentle pressure over any tight areas. It could be other things though so if that has no effect, get it seen to. No offence taken Yifter. 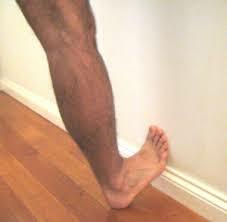 You doing PF stretch with foot against wall and others? Can take a while to heal unfortunately. Not much physios can do except free-off the fascia TBH. Hi, i found sleeping with socks on to keep my feet warm then give them qute a good stretch before i even stand on them in the morning helps alot.PF is pretty hard to get rid of,even when the symptoms clear up i still stretch in the morning. Sounds like what I've had for about 5 months. My therapist said I'd damaged my big toe flexors, and it was caused by wearing the wrong shoes (after having the right ones - but that's another story). I rested for a month (too painful to run), still see him every week, and have a good massage and ultrasound. I'm not 100% fixed, but it's been good enough for me to be doing FLM. What I've found helps is icing every day, and stretches like Siance has put above. Mine had obviously been building for a while, as my therapist said my feet were like bricks when he first worked on them, and now they're nice and loose. I'd say get to a physio. Doc will probably just tell you to stop running! Yifter, the rule I'd go with is if it's acutely painful during stretching / massage then stop. Generally patients say it feels better... Deep massage to the base of the foot can be painful if done incorrectly. Has physio looked at your calf - often tight in pts with PF, so that would need addressing. And check S1 nerve root too to rule out any spinal involvement. Speed work seems to aggravate PF more than LSR - been doing more of that recently? Weight bearing stretches like the pic above have better outcomes than passive ones so keep on with that. also use ice, roll foot over a water bottle filled with frozen water. What's your foot-type and shoes etc? Othotics may help to reduce stress on the fascia. Yifter - I was in Asics 2120's - my left foot is neutral, and my right foot mildly pronates, and I have fairly low arches. I changed to Adidas Rides (neutral). They felt great, and I did 100 miles in them before my probs. My therapist put me on the treadmill in both pairs, and said that the Asics clearly did more for me, and we concluded that the main problem was caused by the lack of support, particularly in the arch region. Needless to say, I'm back in the 2120's! You might be right about tweaking something - it's very difficult to rest your arches, so I expect they'll always take a long time to heal. Good luck! Thx Siance....I've been wearing those 'orthaheel' inserts for about 2 years (separate concern), this particular problem flared up about 3mths ago. I'm assuming its not the orthaheels fault. Would there be any benefit in taking them out?...I'm thinking not. Shoes....Mainly go for the cushion, with little or no stability. I'm thinking of getting some cushion with a bit more stability. I'd put planks of wood on my feet if I thought it would help. Thing is I've never had a problem with my feet. I was running on hard uneven ground at the time, so it could be, that I tweaked something and its just taking forever to mend. Nah leave them in, they're not the cause IMHO. Running on hard uneven ground ticks all the boxes. If you're a light neutral runner then switching to a shoe with more stability will feel like you're wearing planks but a stiffer midsole may help. Trouble with too much cushioning is the foot can move all over the place.. and even if you're light, on uneven surfaces you can see how it causes grief. Obviously healing will be delayed if you're still running - run on soft(er) surfaces to give it a chance. I'm not advising you take time out and watch your entire dvd collection just alter things a bit.